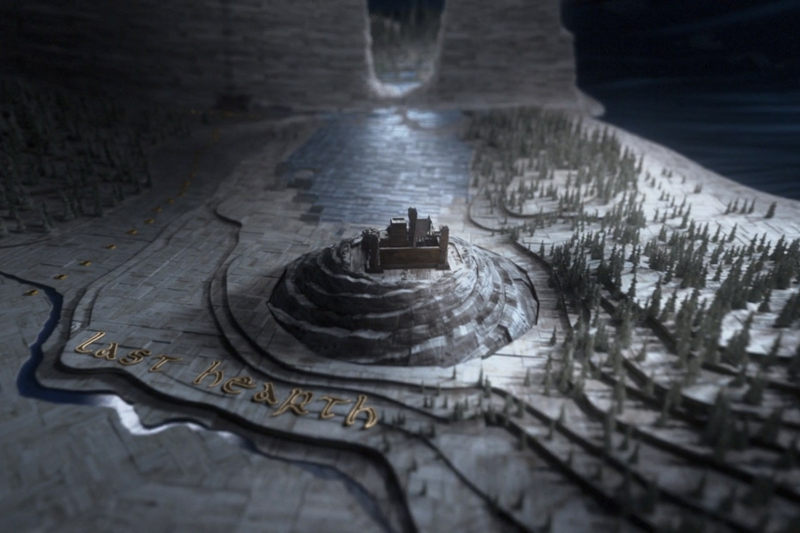 The opening credits of Game of Thrones serve as a guide to the physical landscape of the series, changing with each episode to show not only the actors involved but also the places in which they’ll be. With this in mind, it’s no surprise that the intro to Season 8’s premiere is different from previous intros— but this intro is definitely most drastic update yet, and hints at many things to come. The most surface-level change to the intro is the animation is no longer colored with the bright golds and reds of the previous credits, but is now uses a darker, richer color palette. It’s a somber look, predicting the darkness to come. Besides the color scheme, the intro is basically the same in the first few frames, so much so that your eyes flit past it. We see the small sun contained within an armilla that metaphorically depicts major events in Game of Thrones history – we’ve seen this before. Then we zoom to the map, and personally my eyes just shot open wide. 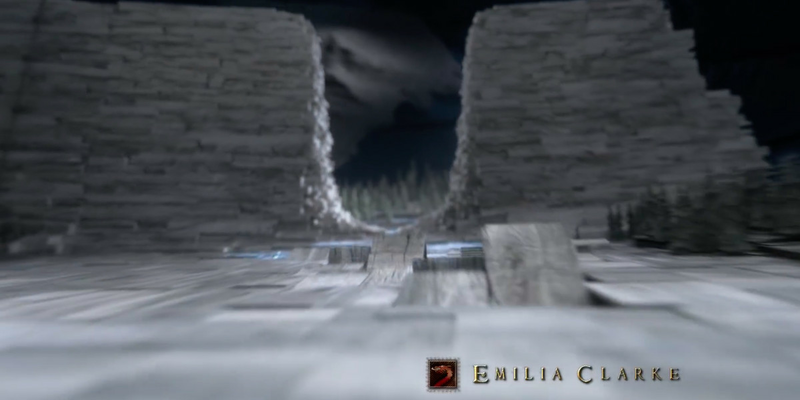 We see the wall with its giant hole where the decimated Eastwatch used to stand. Ouch. Thanks for the reminder. Following this we a series of blue tiles that lead towards Last Hearth, the ancestral seat of House Umber. 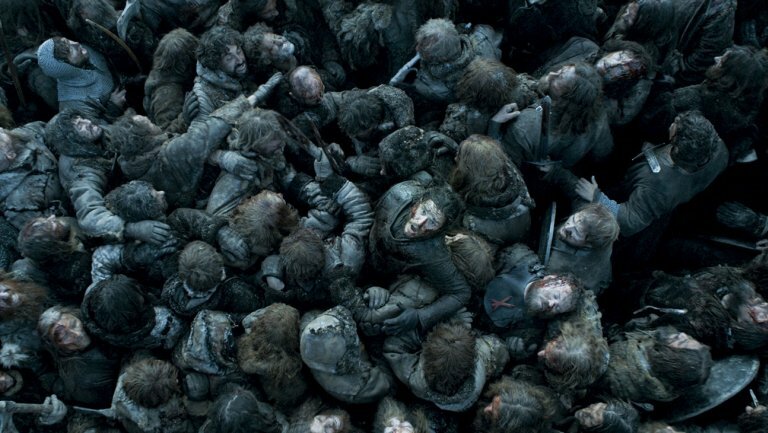 They’re dead, and this map shows us our worst fears: the White Walkers are on a collision course with Winterfell. Honestly, I would have just started here, but I get it: We need to fill a minute and a half of screen-time with SOMETHING to accompany Ramin Djawadi’s sweeping music. Thirty seconds in we hustle over to Winterfell and at thirty-five seconds we rush back inside our favorite castle. Ooo, that’s new. After wandering around the Great Hall, we found ourselves inside the crypt at fifty seconds in. The looming shadows, the lanterns that light our way but don’t illuminate anything, it’s all very unsettling. Is something going to happen there? We shall see. Break my heart, why don’t you? It’s only fifty-five seconds into the intro and you know what I see? Upon the armilla band, engraved in gold because they just want to hurt our little hearts, is a pivotal moment in Game of Thrones history. What is it, you may ask? Well, there’s a crouched hungry lion, the wolf torn apart with arrows, and the man holding up a severed wolf head. 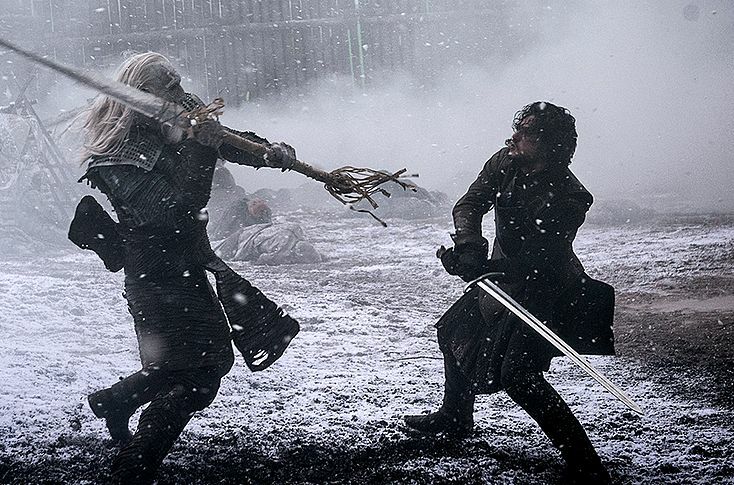 Go from a crypt to a depiction of the Red Wedding, why don’t cha? From here, of course, we head over to King’s Landing. At a minute and ten seconds in we see the courtyard map from Season 7, symbolically reminding us that Cersei is out for Number One: herself. A minute and twenty seconds in we see a dragon skull in King’s Landing. Hey, I get it. 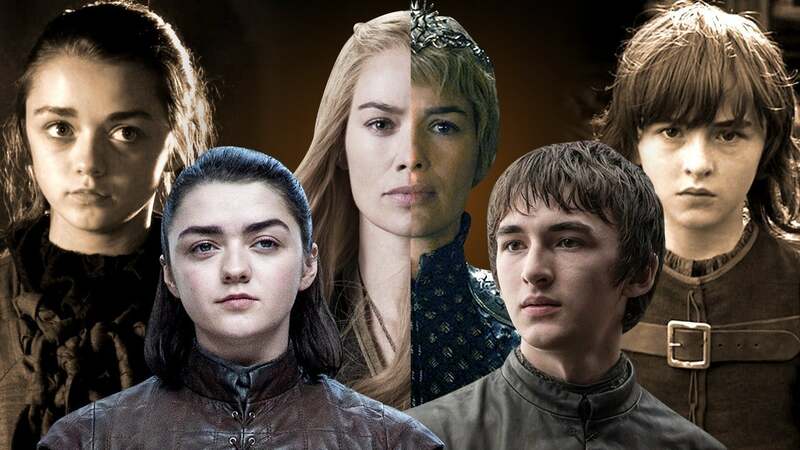 I think the Dragon Queen and Cersei (this might be a stretch) might not get along this season. But I’m just spit balling. Don’t go shaking your head, there might be something to that theory. 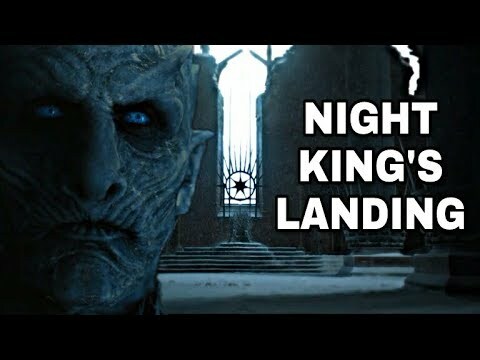 Going to a minute and thirty seconds into the video and you’ll see the Iron Throne with the Lion sigil — a nod that Cersei is now in control – but for how long? To build up the pressure, after we see the Iron Throne with the Lion sigil we go straight to the armilla depicting three dragons below a comet. 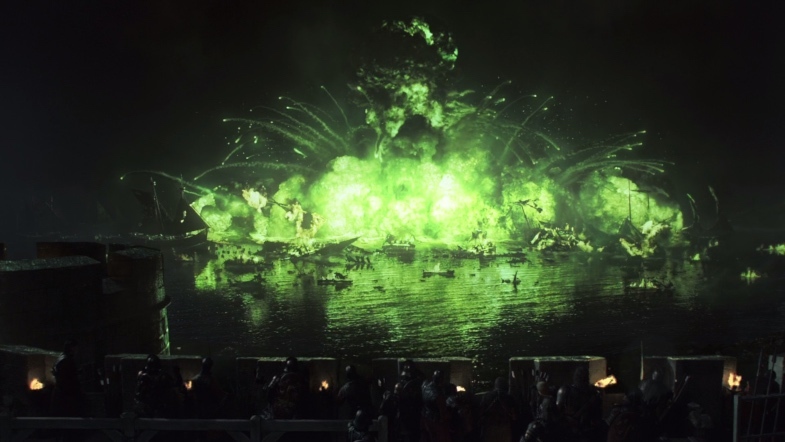 If you recall this event from Game of Thrones history, you’ll know Danearys took this comet as a sign that she would end up victorious. From we here we see Game of Thrones. Because that’s what this show is about: people battling each other for a big chair. You know what? Let’s focus on this Cersei VS Danearys fight. Heck, it might give us our long awaited Cleganebowl. What could possibly go wrong? Maybe. Maybe not. Watch the video and tell me your thoughts!